We love giving our teachers back to school gifts. Last year we put cookies in a mason jar and attached a tag that said, “Thanks for helping make me one smart cookie!” More info on that here. 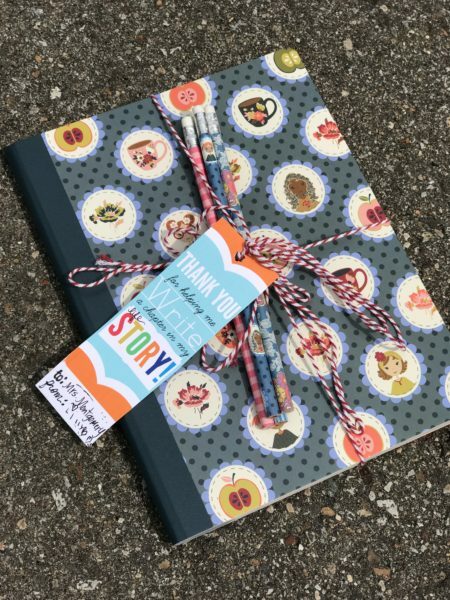 This year the kiddos gave their teachers Matilda Jane Notebooks and pencils. I am a trunk keeper with Matilda Jane so the kiddos are used to seeing all the pretty patterns around and wanted to share them with their teachers. The notebook my daughter gave to her teacher actually matched her shirt! She loved it! These were super easy to package obviously because all I did was add a tag and twine. I wrapped the twine around the pencils so they didn’t fall off. The tag I found on Pinterest. I love when bloggers make free printables so go visit her blog and thank her for such a cute printable for free nonetheless!! The thing I love about these Matilda Jane notebooks is how sturdy they are! I love giving teachers good quality gifts! But you obviously don’t have to give the teachers Matilda Jane Notebooks, you can choose any good sturdy notebook! The other thing I love about this gift is that you can give it at any time! Beginning of the year, middle, or end of the year! My kiddos also gave one of the notebooks to their bus driver as well! Above is the shirt my daughter wore on the first day of school to match the notebook she gave to her teacher;) So fun! 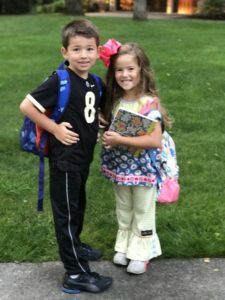 I wish you and your kiddos a wonderful school year! 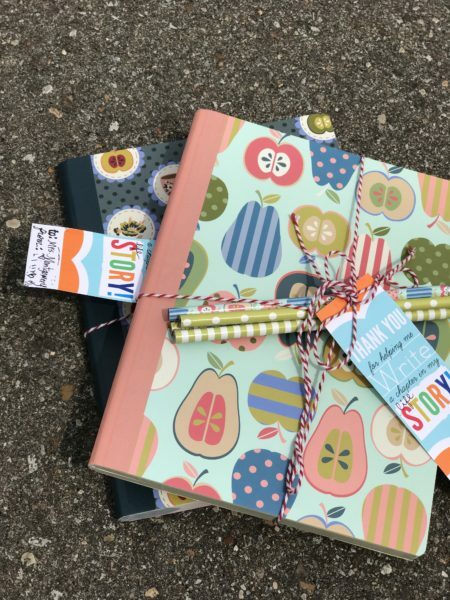 This entry was posted in Matilda Jane, School and tagged back to school teacher gift, bus driver gift, end of the year gifts, Matilda Jane, teacher gift. is the owner and operator of Every Day is an Occasion LLC. She designs for paper manufacturers and teaches craft classes. Her projects can be seen on the Disney Blog, HSN, WSBT tv, and published in craft magazines. She enjoys spending time with her husband, 2 children, and Rhodesian Ridgeback. Jill Lebbin loves creating. She loves teaching people how to bring out their inner creative. 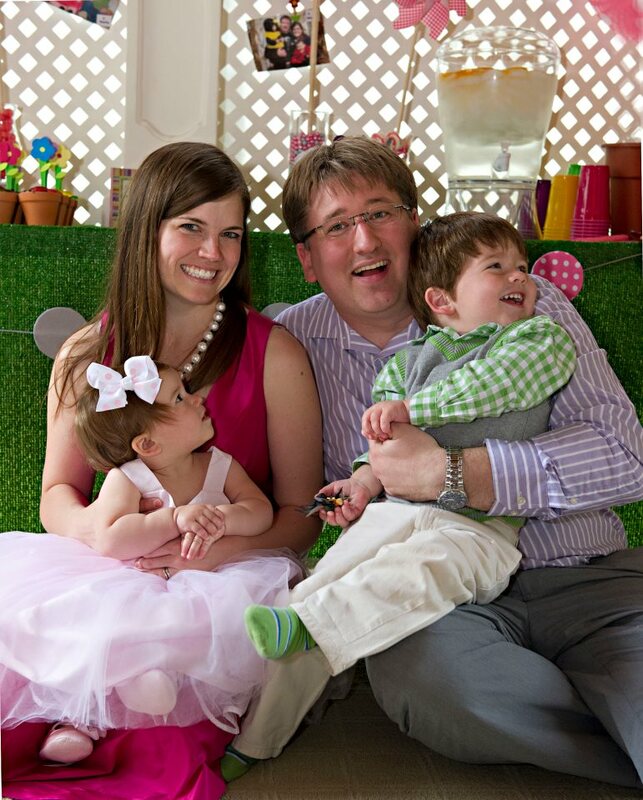 Her most favorite is teaching busy moms how to document the everyday life. She has been on paper manufacturing design teams. Her projects and tutorials can be spotted on Disney's blog Spoonful, HSN, Michiana Family Magazine, and WSBT morning news. She also opened an Etsy shop to help others find products they love so they are able to create from the heart and share their projects with loved ones for years to come. Visit Every Day is an Occasion's profile on Pinterest.